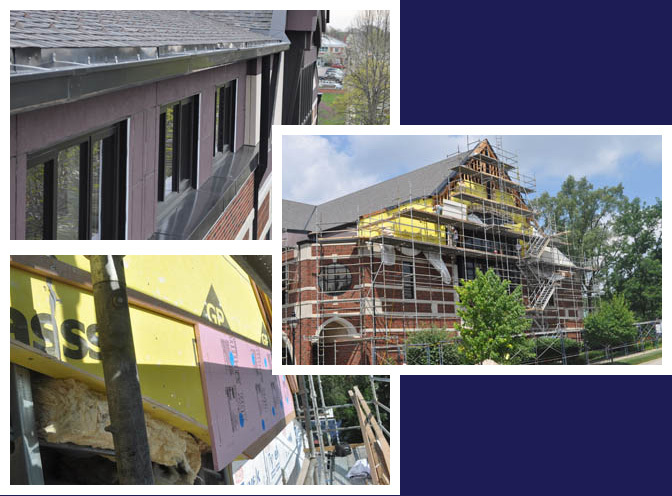 Glen Ellyn Public Library, a 3-story steel and wood frame building constructed in 1995, was experiencing water infiltration through its facade and windows, and significant ice-damming at its roof eaves. To solve these problems, BTC was retained to provide evaluation, repair design, bidding assistance, and construction phase services. Air barrier repairs and installation of additional insulation at attic. Because of its extensive experience and expertise, BTC was able to increase the benefits derived from the repairs. 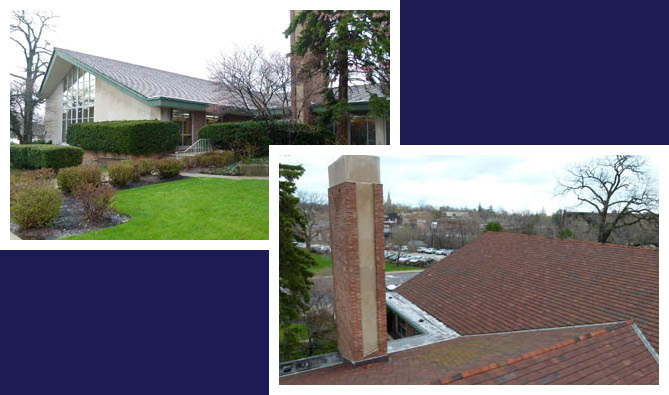 Specifically, for the Glen Ellyn Public Library project, provisions to increase attic ventilation and limit building heat loss through the top floor ceiling penetrations were incorporated into the design to help reduce energy costs. For more information about the Glen Ellyn Public Library project, please click here. For the Winnetka Public Library, BTC recently completed a long-term capital asset plan that included an overall evaluation of key building components and development of a long-term plan. The long-term plan is of particular value as it will allow the library's Board of Trustees to effectively budget capital building expenditures over the next 20 years. BTC was selected for the project because of the depth and breadth of its knowledge to provide a building system view of the many complex inter-related building components and for the firm's experience generating meaningful capital asset plans for its clients. Building Technology Consultants, Inc. (BTC) is pleased to announce that Christopher Kottra has been promoted to Associate Principal.